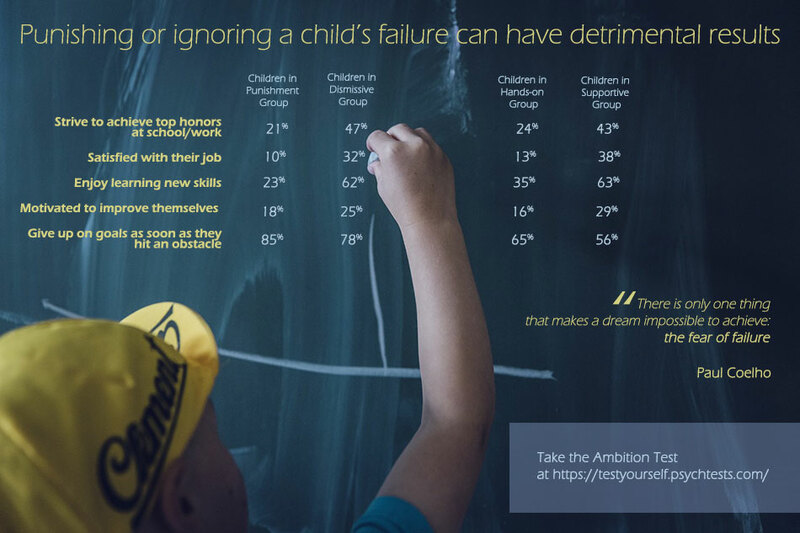 A study by PsychTests.com indicates that children who are punished when they fail may develop a fear of failure and challenge. Depending on how a parent reacts when their child fails, children can either be taught to fear failure or taught how to turn into success. Children reared with an authoritative parenting approach tend to be happier, more confident, ambitious, and perseverant. Helicopter or Free Range? Authoritarian or Authoritative? 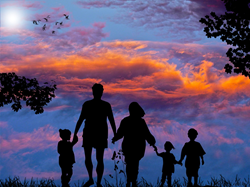 Whatever child-rearing style a parent adopts will have an undeniable impact on a child’s development, from social skills to self-esteem to how they cope with failure. In fact, recent research from PsychTests reveals that parents who take a supportive or proactive approach when their child fails – encouraging them, tutoring them, helping them study – are more likely to raise children who are ambitious, confident, and self-motivated. Children whose parents punish failure, however, may grow to fear it. 1. The Punishment Group: Comprised of people (of all ages) whose parents used punishment when they failed as children or teens (e.g. grounding them, taking away privileges, chastising them, etc.). 2. The Dismissive Group: Comprised of people whose parents didn’t care or didn’t make a big deal of failure. 3. The Hands-on Group: Comprised of people whose parents took a direct and participative approach to failure (e.g. working side-by-side with the child to help them learn material, offering study tips, tutoring them or finding a tutor, etc.). 4. The Supportive Group: Comprised of people whose parents did not get angry when they failed, but who also did not let them off easy. Parents in this group were firm yet encouraging (e.g. “Try harder, study more, practice more,” etc.). How should a parent respond when a child fails? Here’s what this study revealed:A hands-on and supportive parenting approach helps children cope better with failure than tough love.